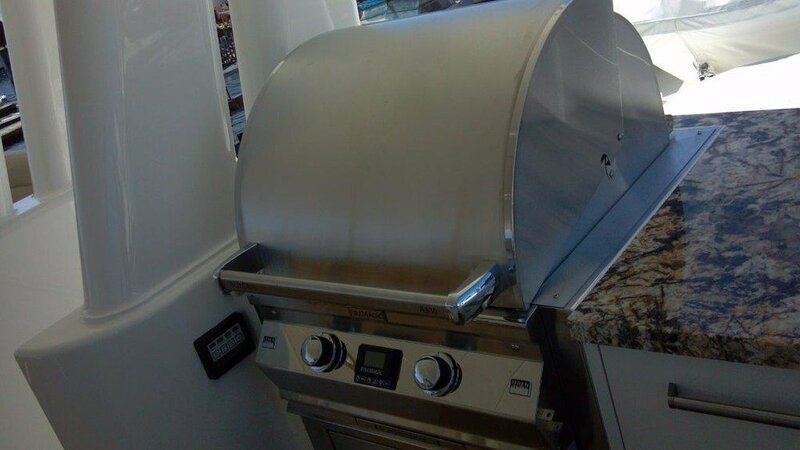 We recently installed a custom barbecue on the Lion's Pride, a 112' Westport yacht. To make this installation we cut out a granite counter top and fiberglass cabinet. In its place, we installed a FireMagic Aurora BBQ with a custom stainless steel enclosure. We also installed the entire propane system, including the tank regulator, hoses, and electronic solenoids.